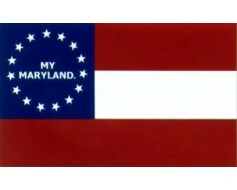 3x5' Historical Nylon flag of 3rd Maryland. 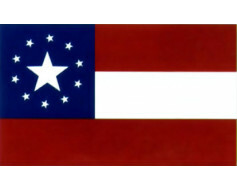 This flag is also called the Cowpens flag as it was believed to have been carried at the battle of Cowpens. 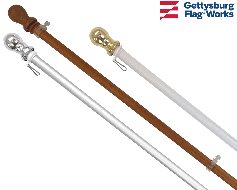 High quality outdoor nylon with canvas header and brass grommets. It's believed that this historical flag was carried at the battle of Cowpens (January 17, 1781) by William Batchelor of the 3rd Maryland Regiment. 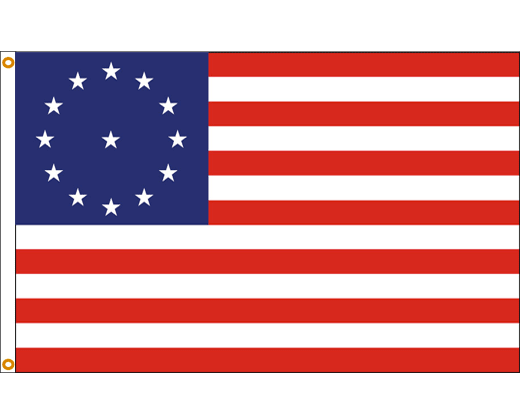 The arrangement of stars has come to be known as the "3rd Maryland design" and is similar to the popular "Betsy Ross" flag. It also consists of 13 stars on a blue canton but with only 12 stars arranged in a circle and the 13th star centered.